The Truth that Sets Us Free. Greatness and Dominion Within. Feeling so free to learn and make mistakes while creating this site. I’m trying to pollute the earth with real positive uplifting news and share relevant uplifting quotes. Do we ask for what we already have? The prayer that reforms the sinner and heals the sick is an absolute faith that all things are possible to God, – a spiritual understanding of Him, an unselfed love. God is love. Can we ask Him to be more? God is intelligence. Can we inform the infinite Mind of anything He does not already comprehend? The Divine Being must be reflected by man, –else man is not the image and likeness of the patient, tender and true, the One “altogether lovely. But to understand God is the work of eternity and demands absolute consecration of thought, energy, and desire. 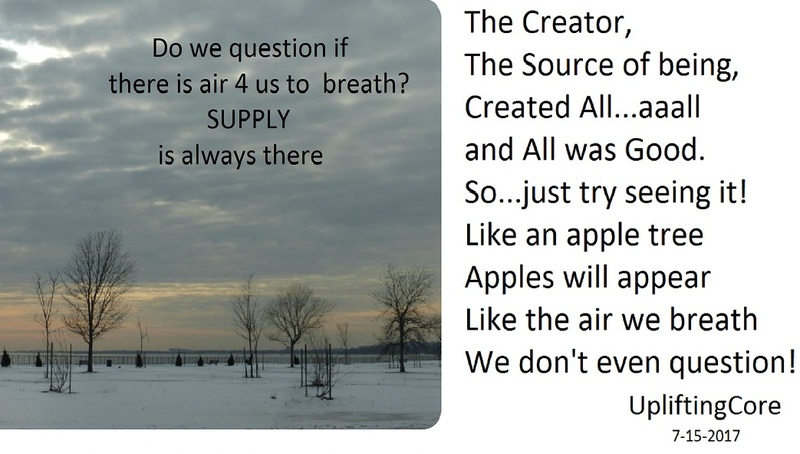 How empty are our conceptions of Deity! We admit theoretically that God is good, omnipotent, omnipresent, infinite, and then we try to give information to this infinite Mind. We shall take advantage ourselves of the blessings we have, and thus be fitted to receive more. Gratitude is much more than a verbal expression of thanks. Action expresses more gratitude than speech. Simply asking that we may love God will never make us love Him, but longing to be better and holier, expressed in daily watchfulness and in striving to assimilate more of the divine character, will mold and fashion us anew until we awake in His likeness. Whatever materializes worship obstructs man’s spiritual growth and keeps him from demonstrating his power over error. Sorrow for wrong-doing is but one step towards reform and the very easiest step. Divine Love corrects and governs man. Men may pardon, but this divine Principle alone reforms the sinner. “God is not separate from the wisdom He bestows. To suppose that God forgives or punishes sin according to as His mercy is sought or unsought, is to misunderstand Love and to make prayer the safety-valve for wrong-doing. Jesus uncovered and rebuked sin before he cast it out. Of a sick woman, he said that Satan had bound her. He came teaching and showing men how to destroy sin, sickness, and death….His rebuke was fearful…Get thee behind me, Satan. Jesus’ reproof was pointed and pungent. He taught and demonstrated man’s oneness with the Father, and for this, we owe him endless homage, he established no ritualistic worship. The truth commands sure entrance into the realm of Love. Prayer to a corporeal God affects the sick like a drug, which has no efficacy of its own but borrows its power from human faith and belief. The drug does nothing because it has no intelligence. We are all made in the image of light, wisdom and love.